What a game this should be on Saturday evening! The top two meet at Elland Road and you know both will be going all out to claim all three points. Leeds turned up at Carrow Road in August and absolutely cruised past Norwich, but Daniel Farke's side are a totally different proposition now and this should be a lot closer. There will be goals in this one but I have to go for a Leeds win. It's now six wins in a row for Bristol City in all competitions and 12 unbeaten, which sort of sums up the way it usually goes for Lee Johnson's side. Swansea should really have gone on to win in midweek after Birmingham went down to 10 men, but somehow managed to throw a lead away before rescuing a draw. Bristol City are full of confidence, though, and I reckon they'll nick this one. What a fantastic result that was for Millwall against Everton in the FA Cup last Saturday. That would have given them a real boost but they need to focus on Championship matters again quickly. Rotherham are slipping alarmingly down the table after three defeats on the spin. They played well against Leeds but just couldn't hold on for a point last week. This is a huge game near the bottom and I just have a feeling that the Millers could sneak it. 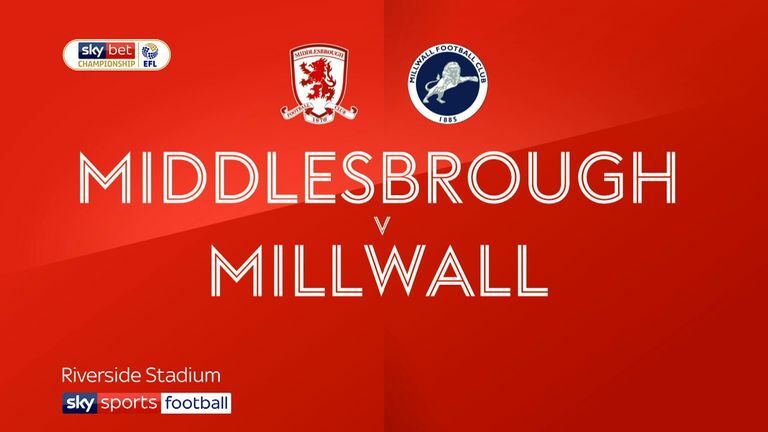 Highlights of the Sky Bet Championship match between Middlesbrough and Millwall. It was a good point gained for Sheffield United at Norwich last week as they showed superb resolve to come from behind twice. Bolton will have been pleased to finally claim a point from a losing position against Reading on Tuesday night, the first time they have done so since October! They need to start chalking up a few wins but I can't see them getting anything at Bramall Lane. West Brom have conceded four more goals than Middlesbrough have scored! Which probably sums up better than anything the way these two sides have approached trying to win promotion. Both of these sides have ended up with an FA Cup replay in midweek, but this, you feel, is the priority as they try and keep pace with the top two. It will be a tight game and I just can't split them. Score draw. 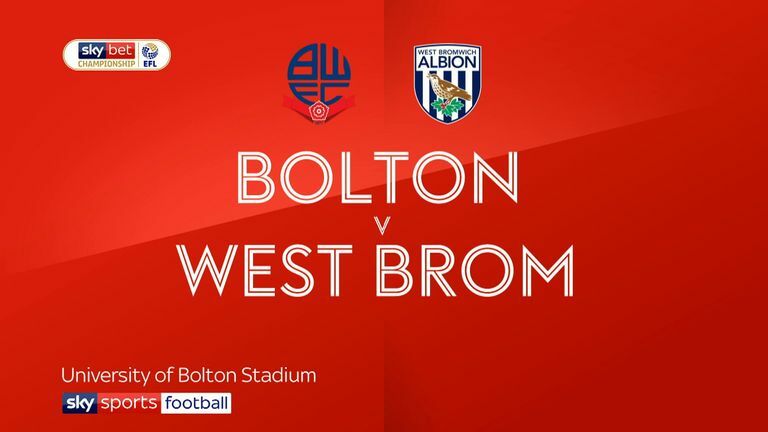 Highlights from the Sky Bet Championship as Bolton hosted West Brom at the University of Bolton stadium. Sunderland have slipped off the pace having drawn their last three, but Jack Ross won't be too concerned yet because they have games in hand against all the sides around them. AFC Wimbledon were absolutely brilliant against West Ham in the FA Cup, but it is back to the reality of their position in League One now. Home win for me. Mansfield missed a great opportunity to solidify their position in the top three by allowing Forest Green back into the game on Tuesday night. They are still in good form and look good for promotion, though. For all of Sol Campbell's good work, and letting a two-goal lead slip last weekend would have been so frustrating, they are still in the relegation zone in League Two and I can't see that changing on Saturday. 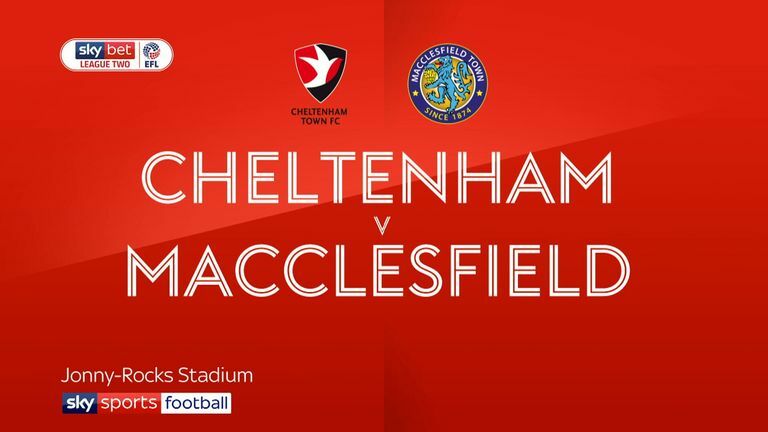 Highlights of the Sky Bet League Two match between Cheltenham and Macclesfield.